OUR APOLOGIES, THIS DATEPAD IS OUT OF STOCK FOR 2019 CALENDARS! 8 3/8" x 12 3/8" Daily Date Calendar. 6" x 5 1/2" datepad begins in mid-December for early distribution. Includes full color edge to edge imprint on backboard. Hardbound book-cover like construction, wrapped edges and embossed textured finish. Sturdy metal hardware allows for low cost refills only in future years. Punched silver metal eyelet for wall hanging. Optional 8” self-adhesive easel for desk use and corrugated individual mailers also available. NOTE - CURRENTLY OUT OF STOCK FOR 2019 DATEPADS ON THIS SYLE. Calendar backs are made and printed in the USA, date pads are manufactured in Malaysia. 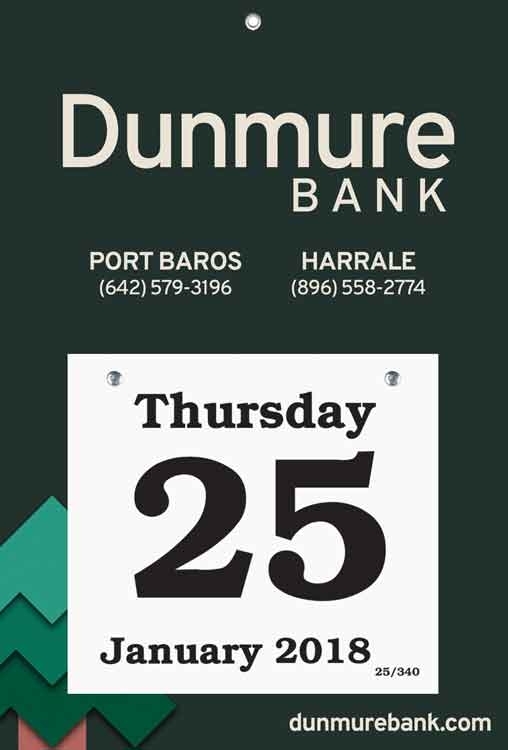 IMPRINT: From 1 color to full 4 color process printing is included on the entire calendar backboard.